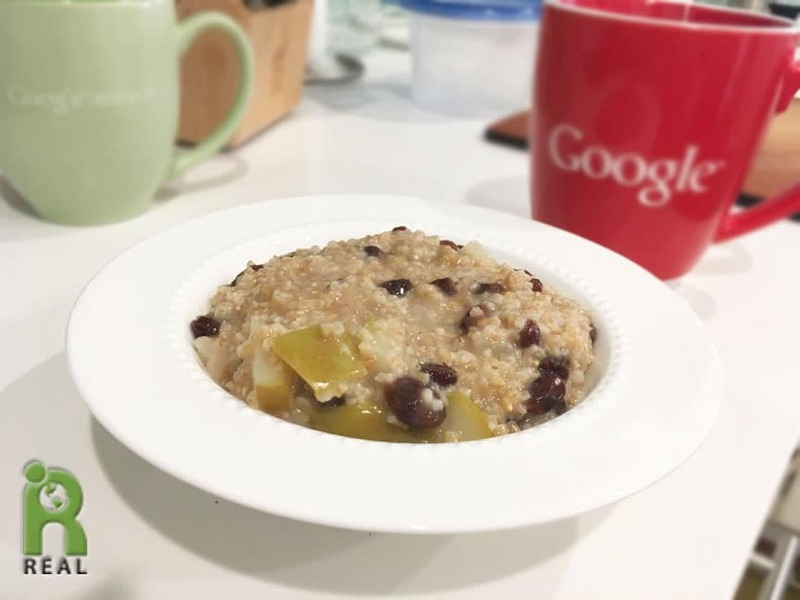 Breakfast: Today’s Steel Cut Oats cooked up well because I was prepared. I took 1/4 cup of oats and cooked it with 1 cup of water, plus a Pear and Raisins. 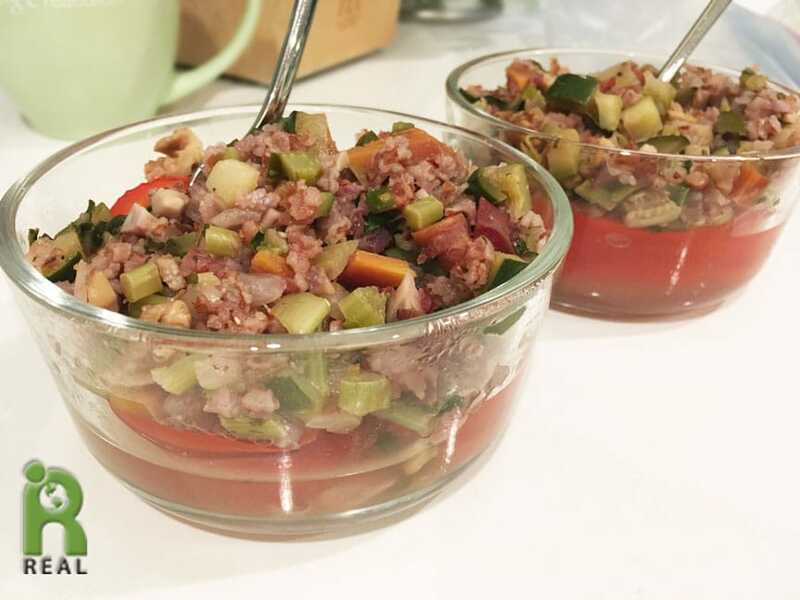 Normally I use a 1:2 ratio of Oats to Water but learned yesterday that I needed to add more water when cooking a small amount. This time, there was enough water to cook the oats and keep it from burning. 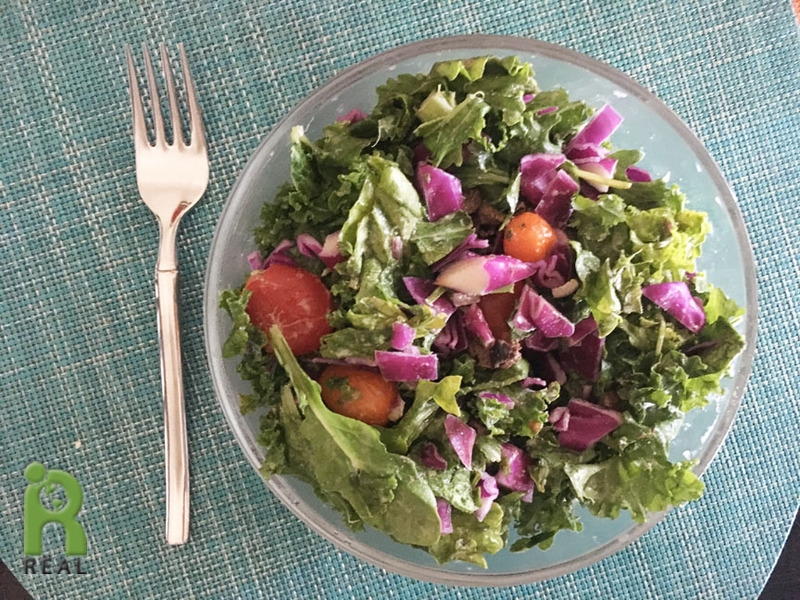 Lunch: My leftover 4 cups of Kale Salad that I had made yesterday was a ready-made welcomed lunch. I drove down to San Jose to meet Gary and to go to the Playful People Productions gala. We got dressed up and it felt like we were going to the prom! 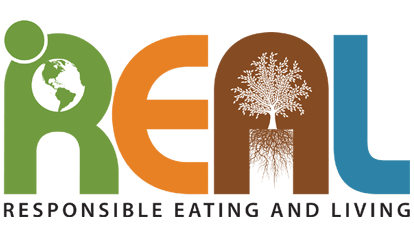 Gary took me to dinner at a very fancy place before the event – Veggie Grill! 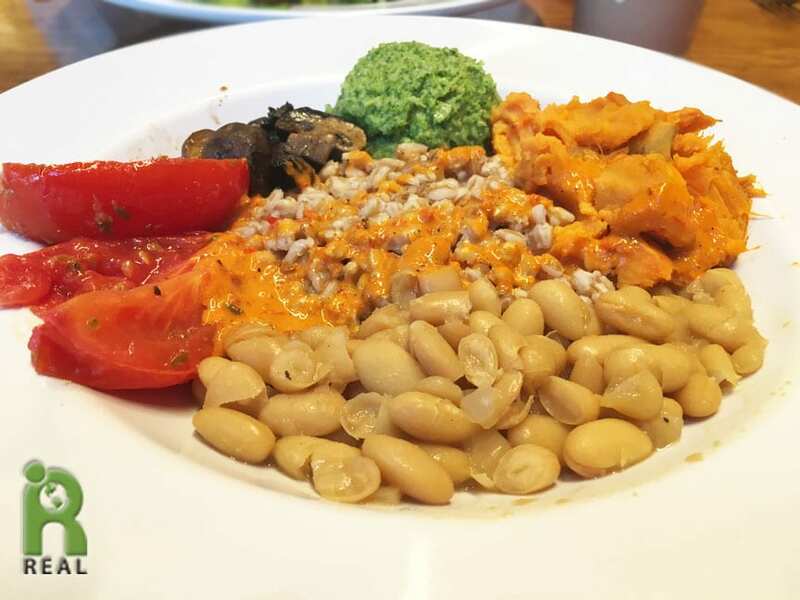 I tried a new item, the Rustic Farm Bowl with Farro, Grilled Mushrooms, Roasted Yams, Braised Cannellini Beans, Broccoli Pesto, Roasted Tomatoes, and a Red Pepper Sauce. 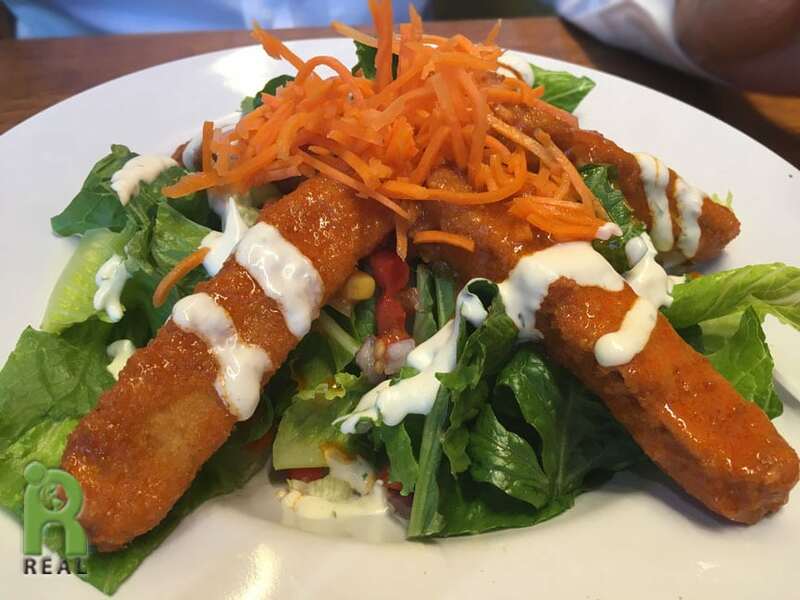 Gary got his favorite B-Wing Salad. 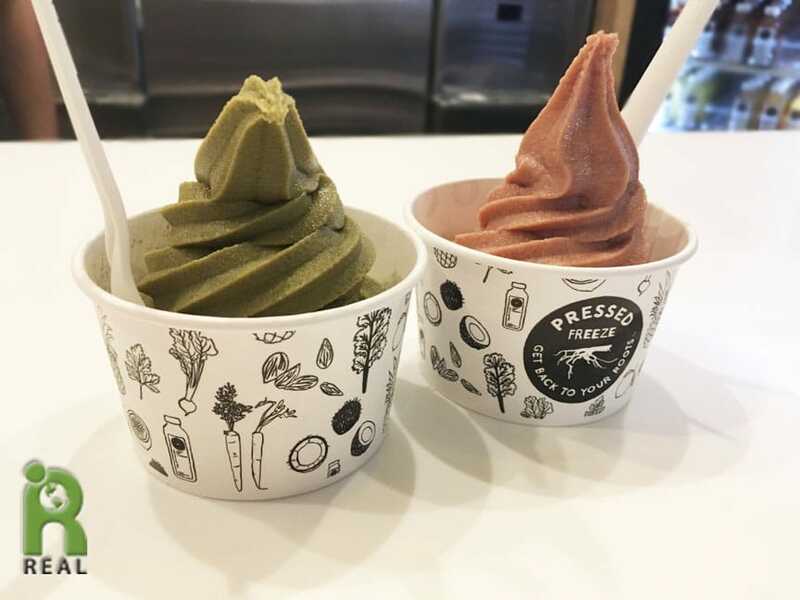 Just around the corner from Veggie Grill is the Pressed Juicery and you know what they have – FREEZE! 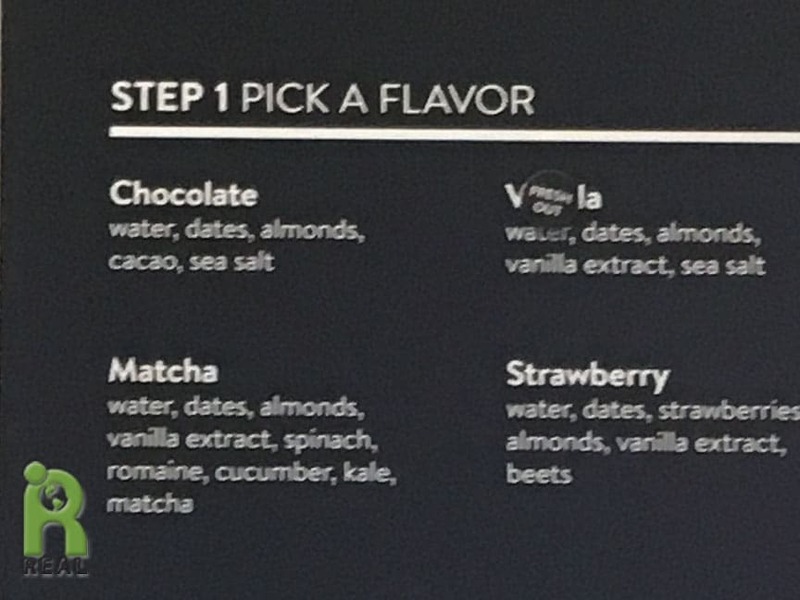 I took a shot of the menu board with the Freeze ingredients for my own reference. I love the Matcha with Water, Dates, Almonds, Vanilla Extract, Spinach, Romaine, Cucumber, Kale and Matcha. Gary got the Strawberry Freeze. Supper: There was food at the Playful People Productions’ gala and the staff made sure there was some vegan items for us but we were too stuffed to eat. After the event we drove back together to Walnut Creek. Gary was done with his house sitting in San Jose. Somehow we were hungry when we made it back. I was glad to have my Stuffed Red Peppers all ready to heat and serve. 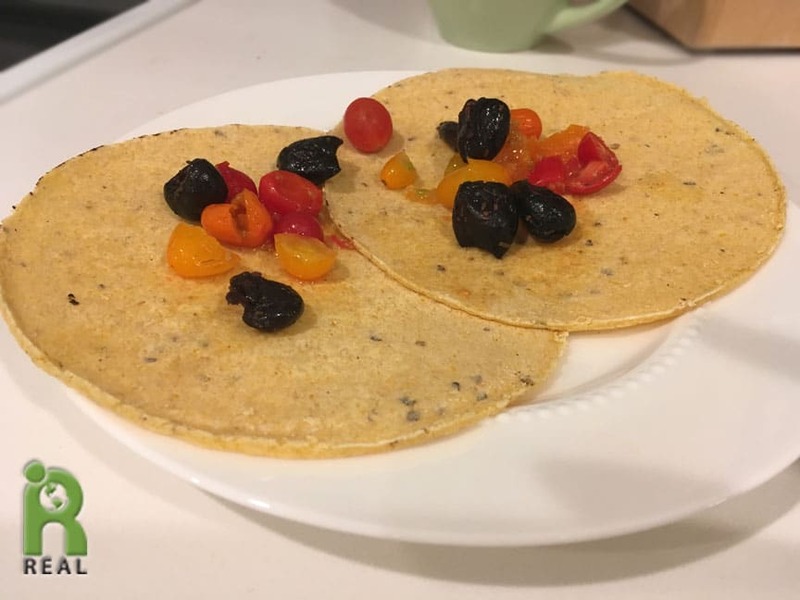 I also made my new treat, Corn Tortillas with Cherry Tomatoes and Olives. Gary had a bowl of Rolled Oats with Pears, Raisins and Walnuts.